Two of the tallest athletes in tennis will meet tomorrow in the third round of the China Open as American No. 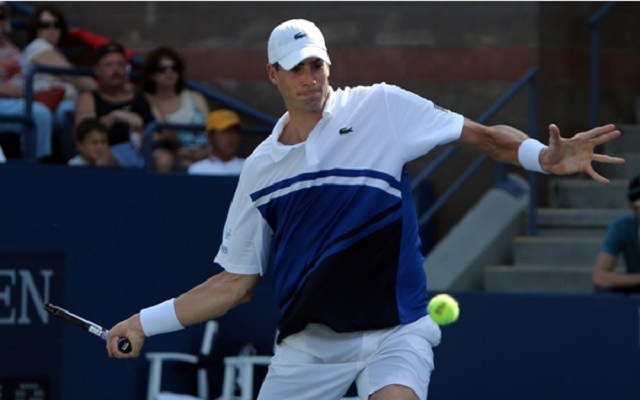 1 John Isner (Player Profile) and fourth seeded Tomas Berdych (Player Profile) clash for the fifth time on the professional tour. The Berdych vs Isner Head to Head stands at 2-2. Isner is appearing at the ATP Beijing tournament for the first time since 2010, when he lost in the semifinals to World No. 1 Novak Djokovic. The American defeated Bautista Agut 6-2, 6(3)-7, 6-4 to reach the third round of the China Open and advance his hard court record to 24-12 this season. He is also 3-3 against top 10 competition with wins over Djokovic and Juan Martin del Potro (twice). The American had a successful US Open Series run, winning the ATP Atlanta tournament and defeated Richard Gasquet, Milos Raonic and Djokovic to reach the Cincinnati final, where he lost to eventual US Open champion Rafael Nadal. His efforts restored him in the ATP top 20 (currently at No. 16) and he will be looking to climb back into the top 10 with strong showings in the Asian swing. Czech No. 1 Tomas Berdych was offered a free pass into the third round after Nikolay Davydenko retired from their match last night. The former Beijing champion currently holds the title of the only player in the ATP top ten yet to win a tour final this year . He will be looking to duplicate his efforts from back in 2011 and secure his first title of the season after losing three finals in 2013, the latest being a loss to Milos Raonic last week in Bangkok. Berdych has had a turbulent 2013 and while he has reached four Masters 1000 semifinals this year, he has failed to convert any of his opportunities to win a ATP tournament. However, he is currently ranked at a career-high of No. 5 and has compiled a 49-18 record this season (34-10 on hard court). His issue has been facing top 10 opponents as he is only 5-9 this year against elite competition. While Isner is not currently ranked in the top 10, yet when at his best, he can certainly compete with the very best. This will be the fifth encounter between the big men, with the series tied at two wins each. Berdych’s wins both came on clay courts whilst Isner holds the advantage on hard courts, including their most recent meeting last year at the Winston-Salem tournament prior to the US Open. Considering this statistic, Isner’s serve may be the difference in this match-up tomorrow afternoon. John Isner beat Del Portro once this year.